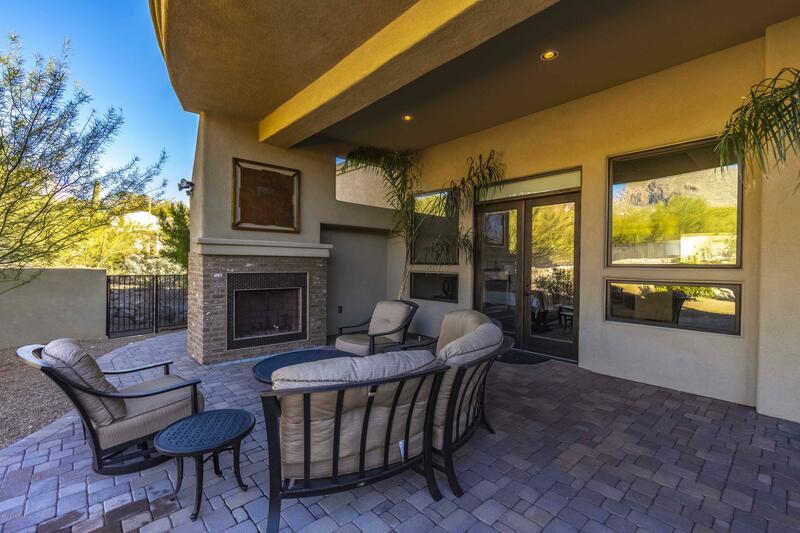 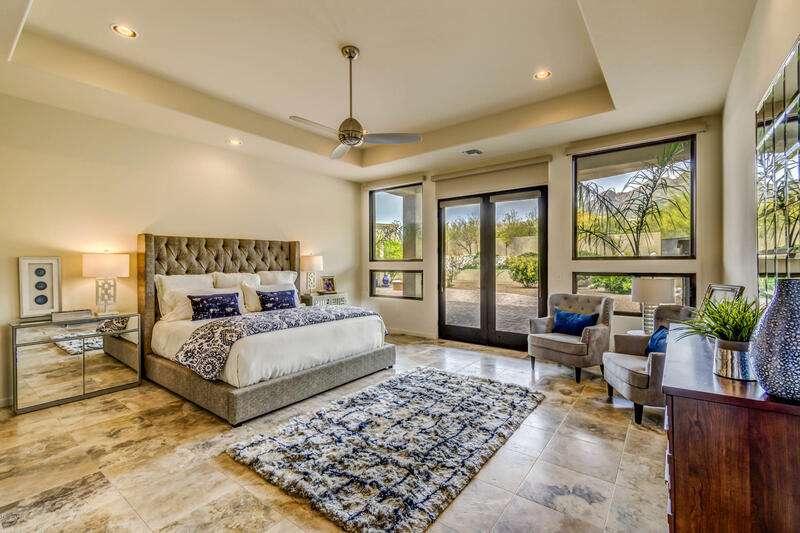 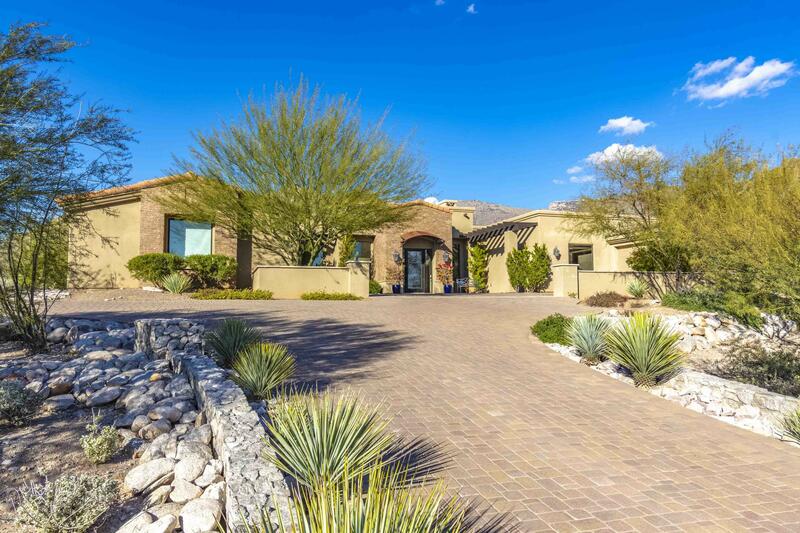 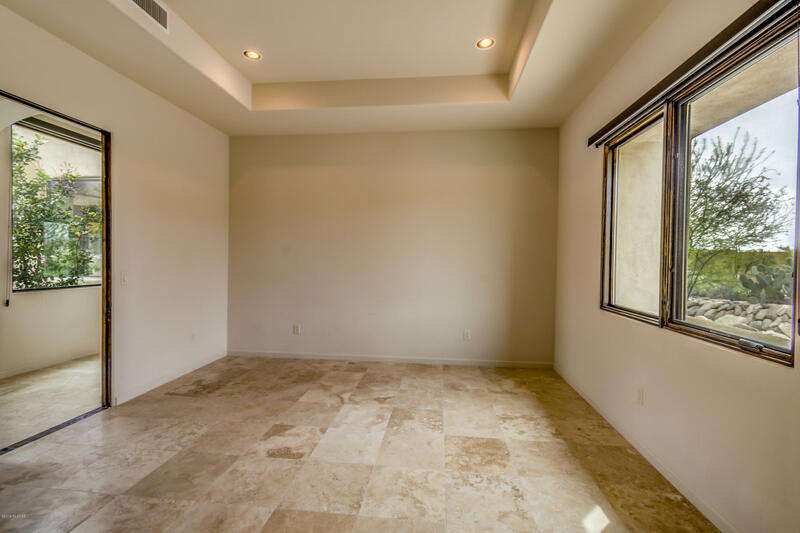 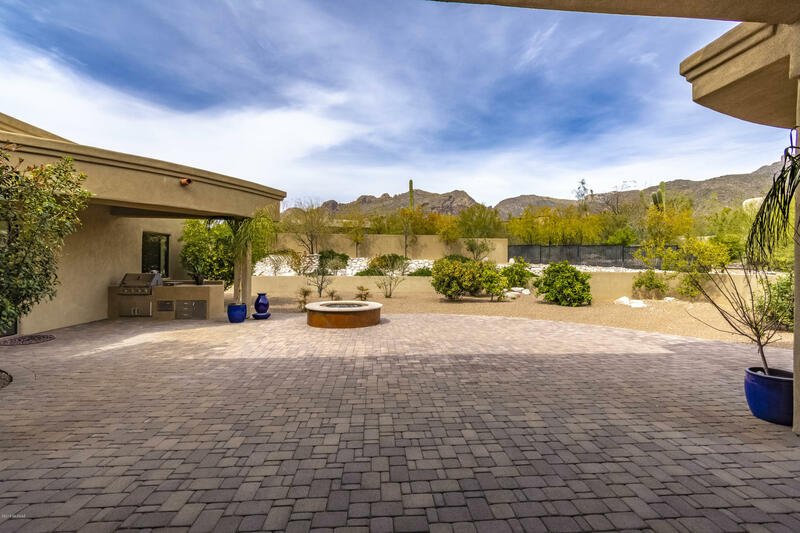 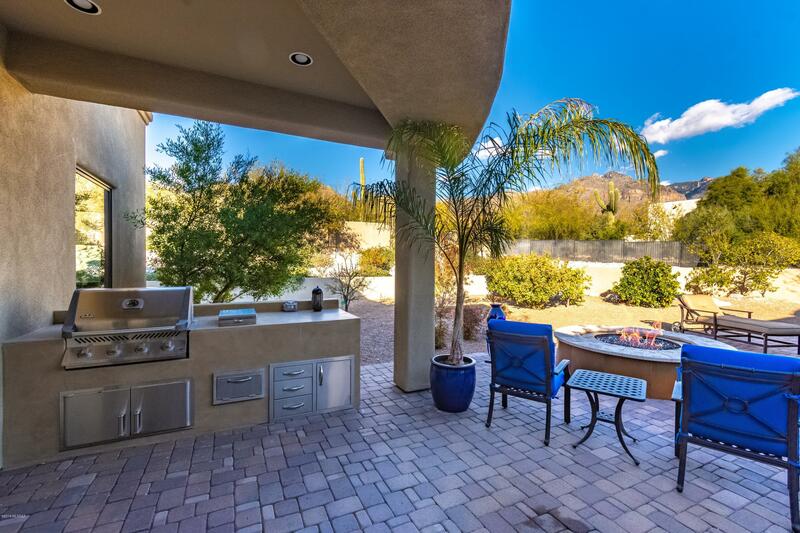 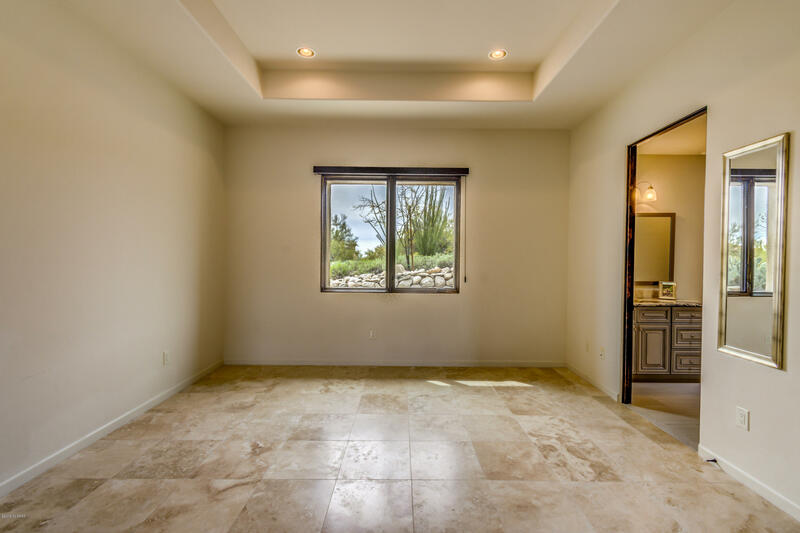 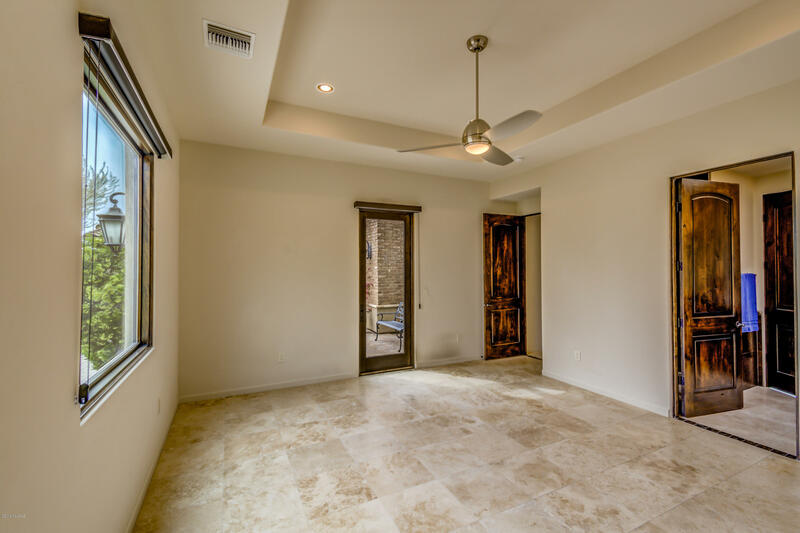 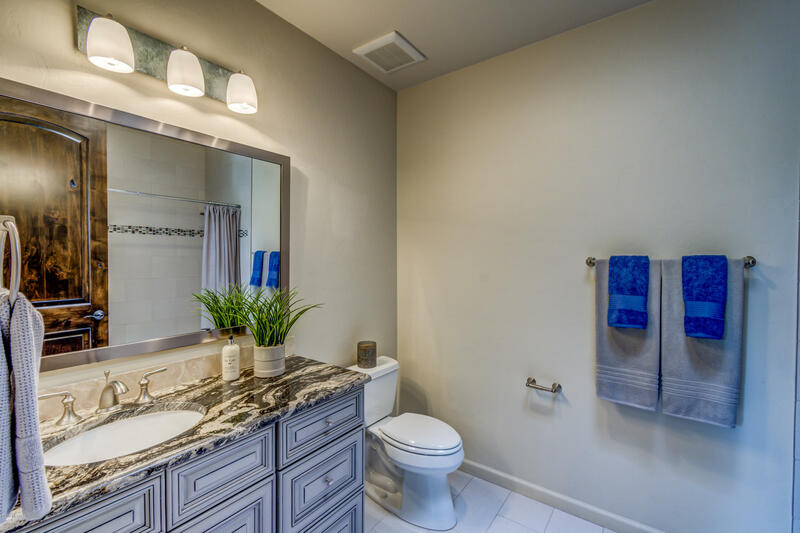 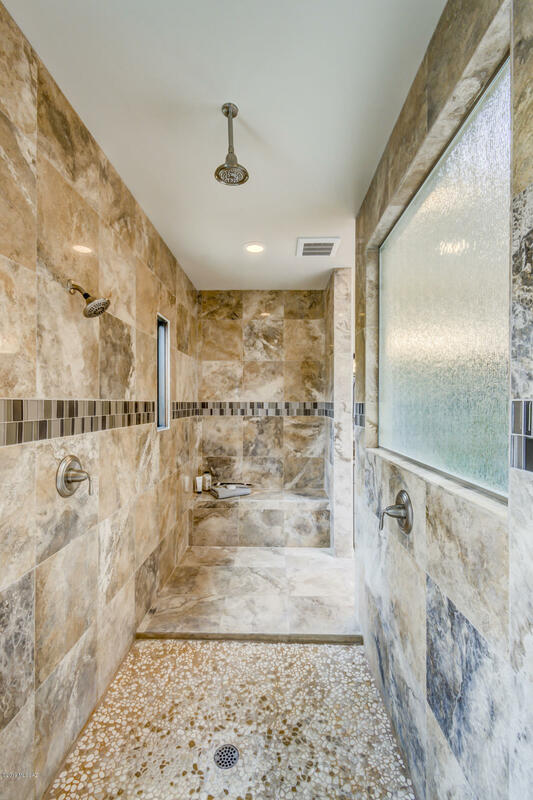 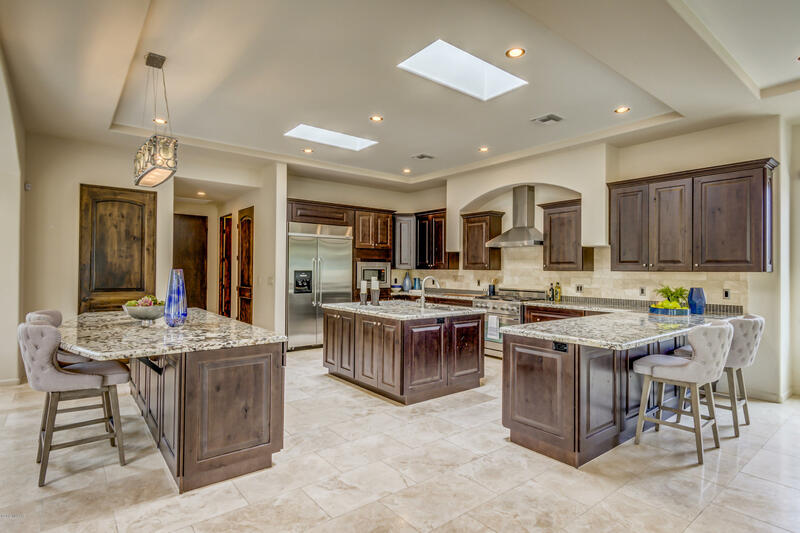 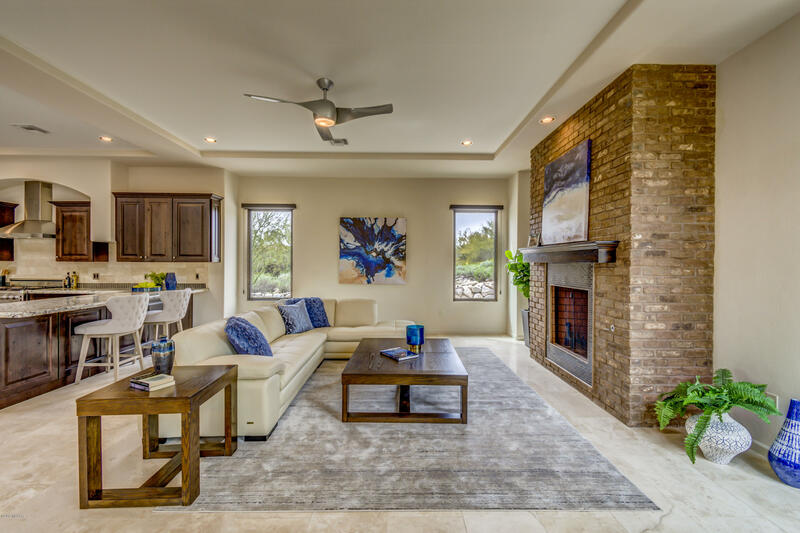 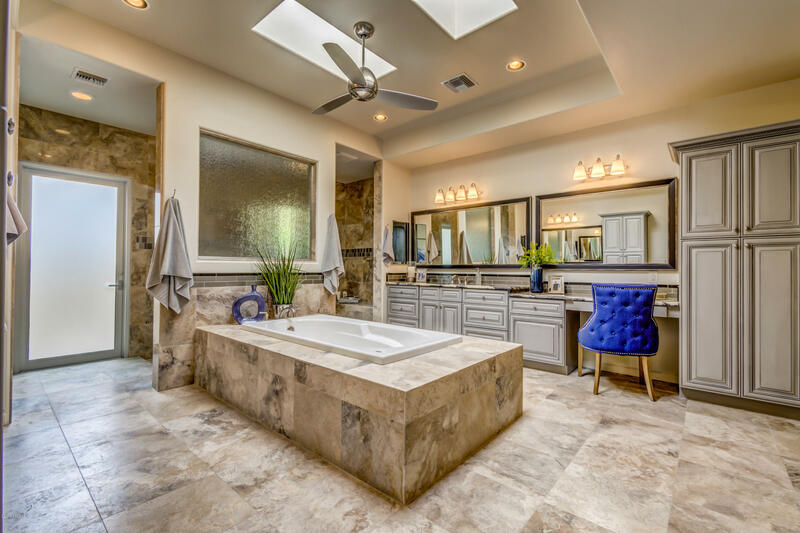 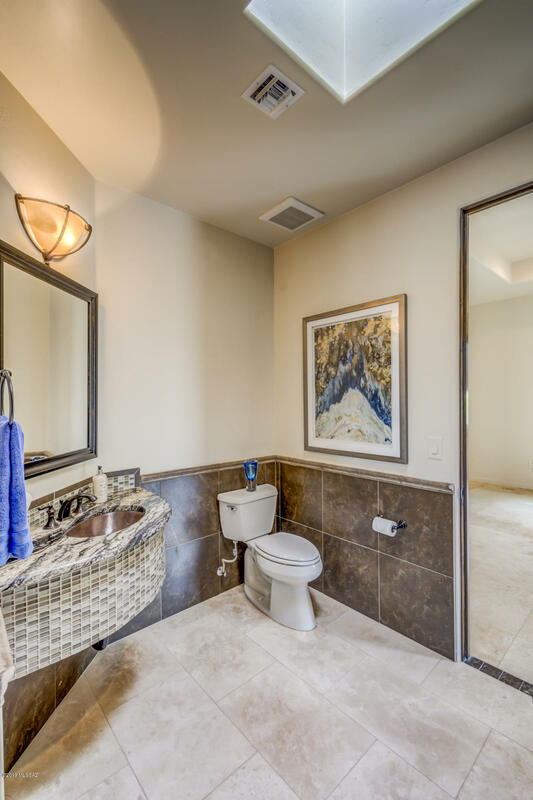 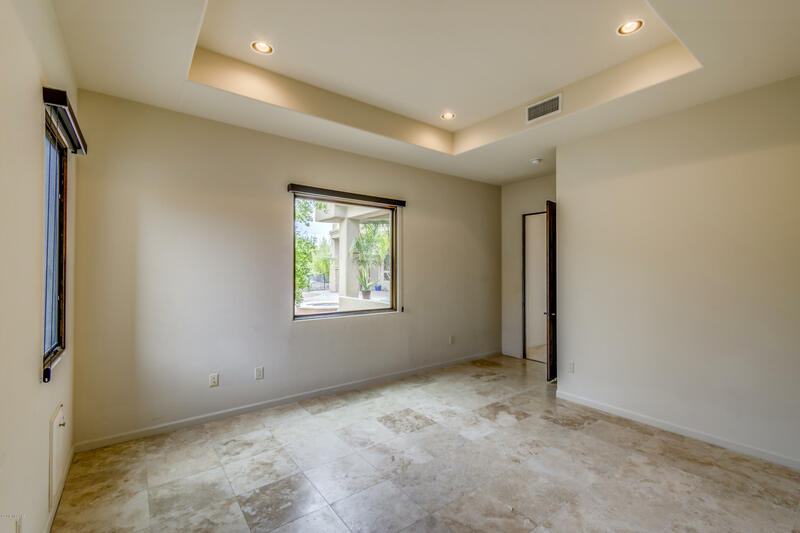 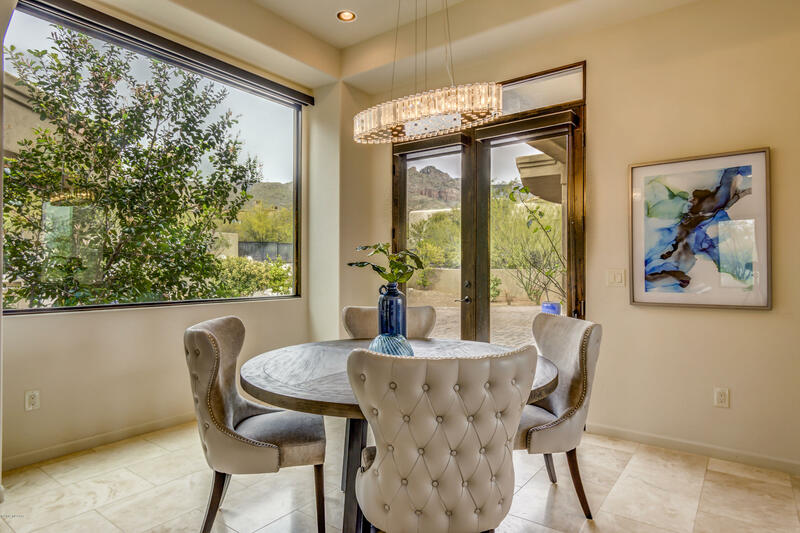 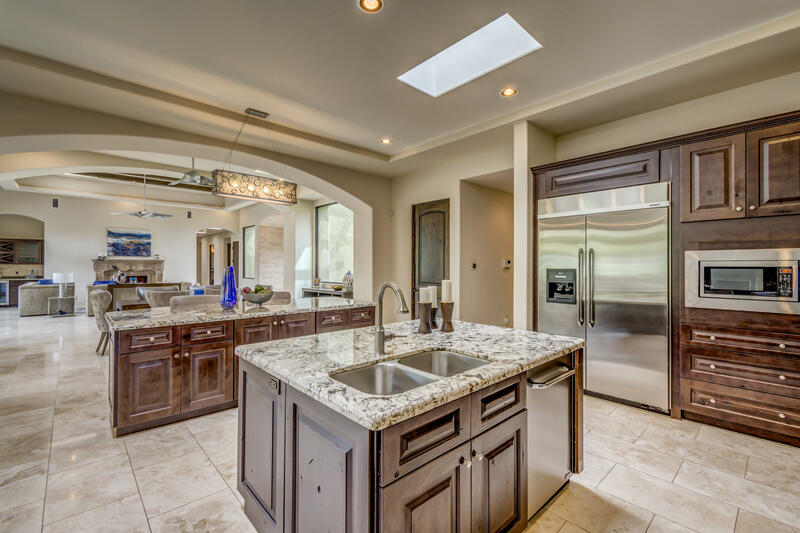 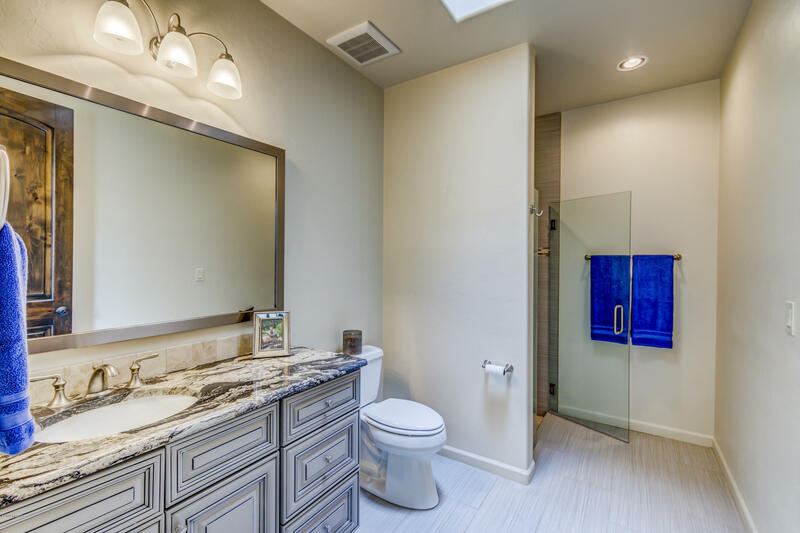 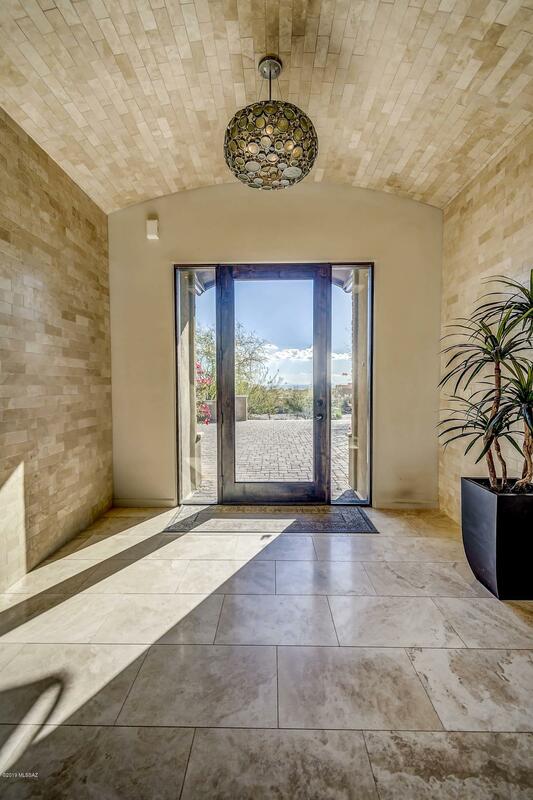 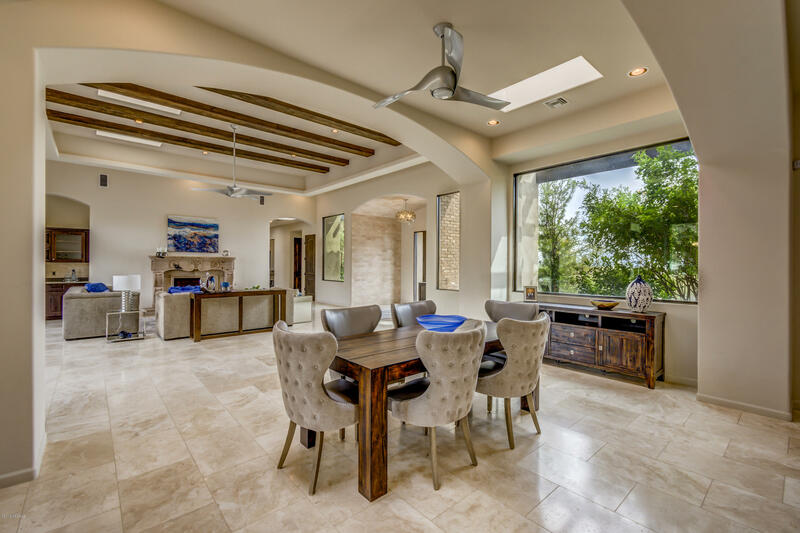 Contemporary home in prestigious, gate Pima Canyon Estates in Tucson's Catalina Foothills with 4 bedroom split plan with ensuite baths plus studio or exercise room. 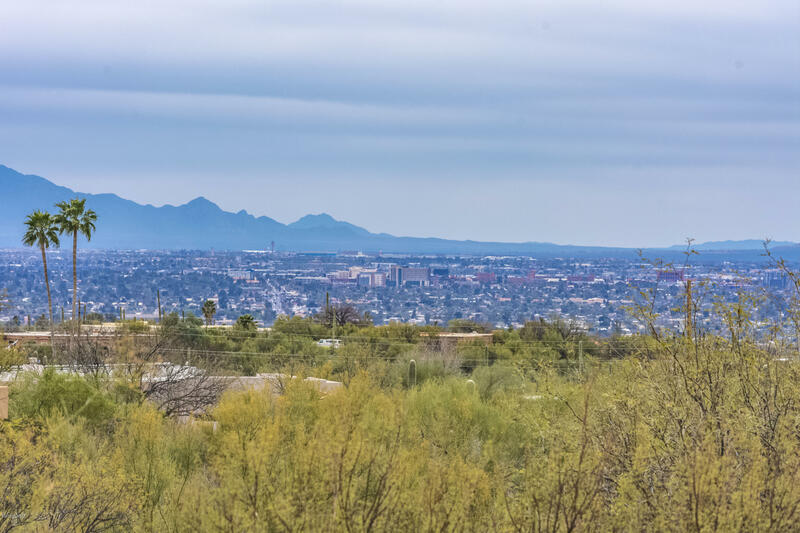 Fabulous city and mountain views. 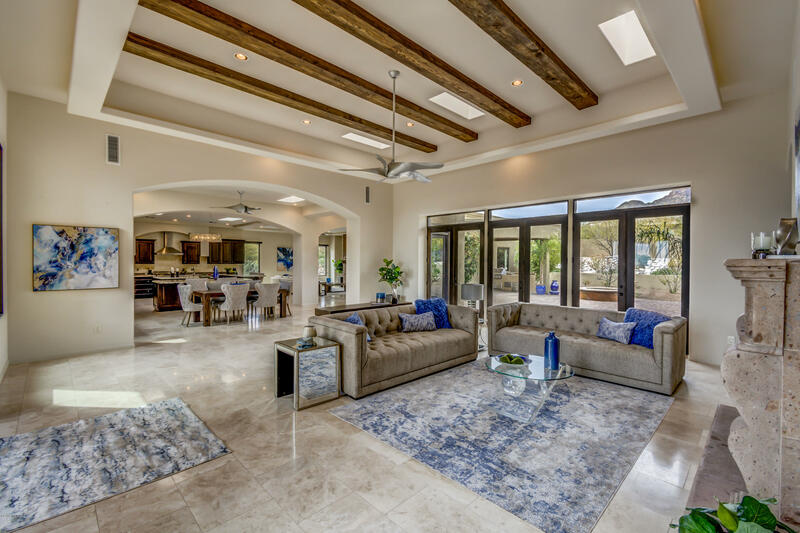 Enter through the inviting courtyard with brick pavers that leads to entry into Living Room with high ceilings and windows and lots of light, travertine floors throughout, beamed ceiling and fireplace with cantera stone surrounds. 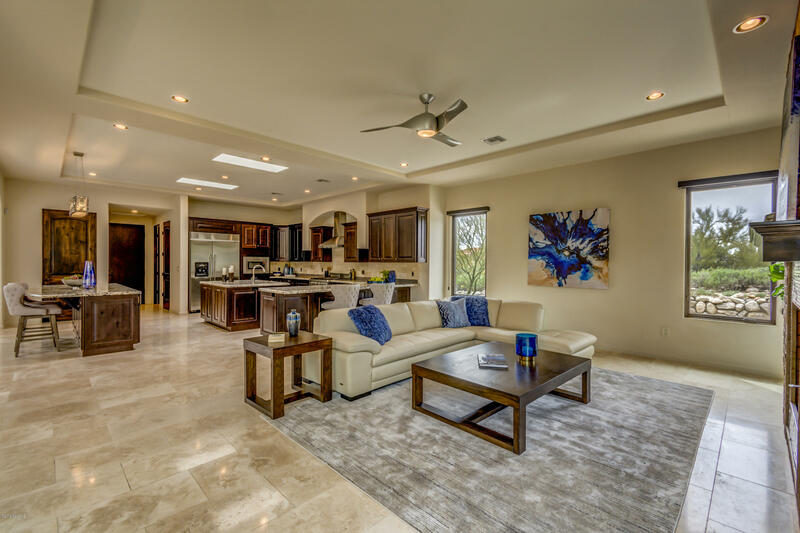 Walk into the kitchen that offers gourmet kitchen and granite counters, designer SS appliances, alder cabinets and doors, center island that is an entertainers delight, separate breakfast bar and floor to ceiling brick fireplace opens up to the great room. 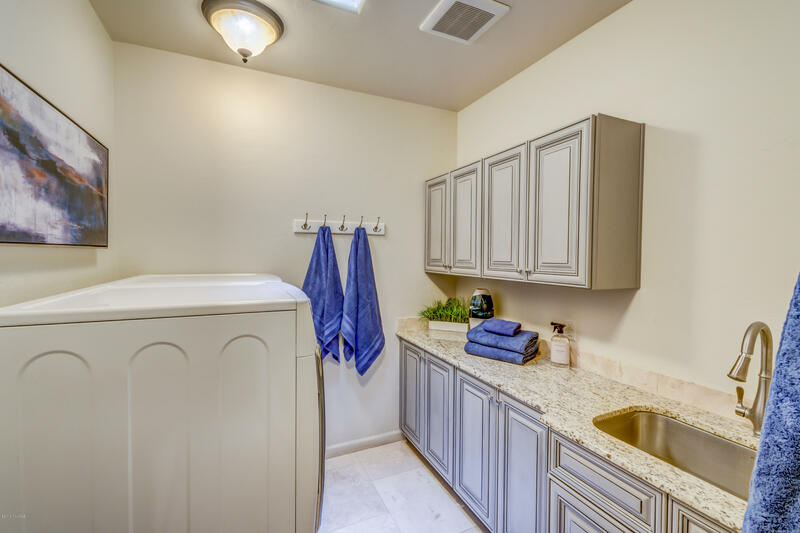 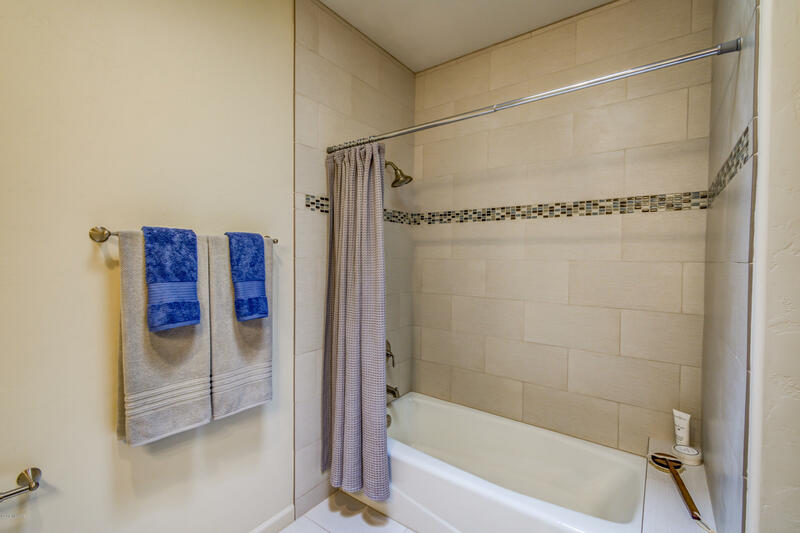 Come relax in the large master suite that features a garden tub and oversized walk-in closet with built-ins.